The 27.5" mid-range full suspension bike among the E-MTBs convinces with the proven Shimano Deore cassette and all-round good equipment. 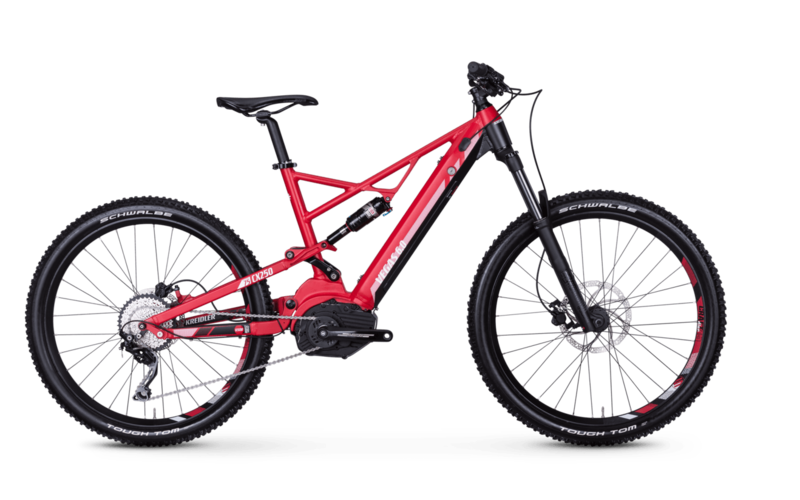 The sporty full suspension e-bike offers a chassis with Rock Shox Revelation RL 140 mm suspension fork - full spring deflection and, of course, plenty of safety, even with an aggressive riding style. The powerful mid-mounted motor of the E-MTB comes from the Bosch Performance CX series and is driven by a powerful 500 Wh power pack. With this combination you are also relaxed on the uphill stretches.